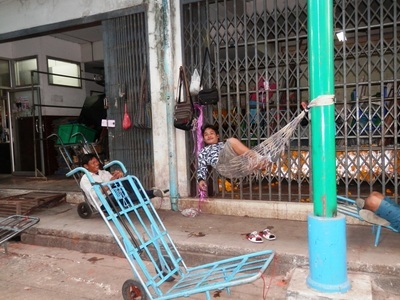 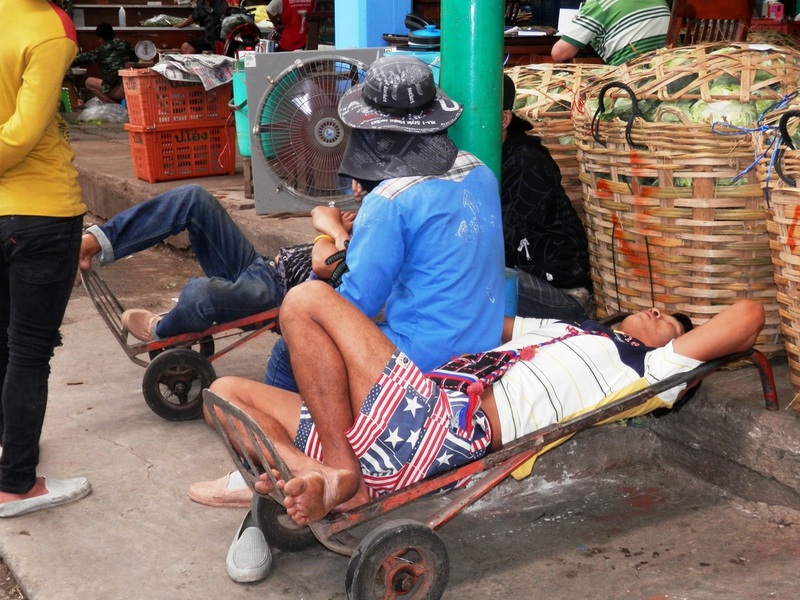 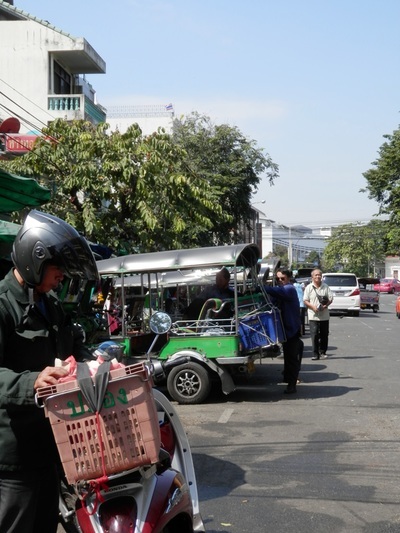 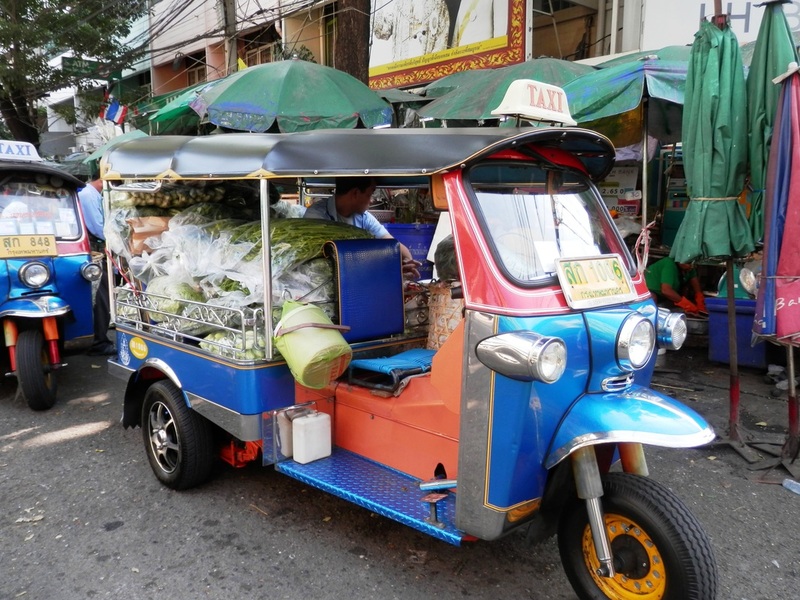 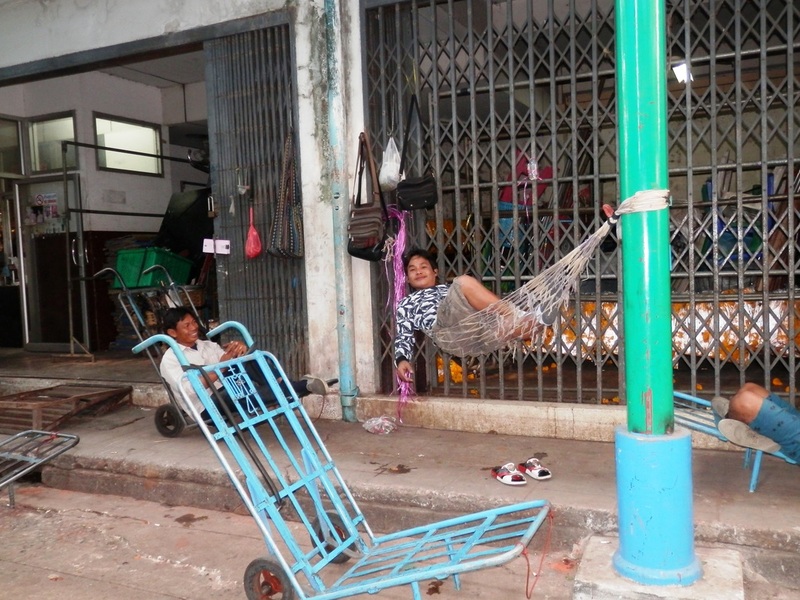 Rather than waste her time on another Mam Tour that was really just a series of sorting people into vans without a guide as she had done the day before with the Bridge on the River Kwai "experience", AlteCocker had a taxi drive her over to the Flower Market where she spent a couple of hours photographing all the activity. 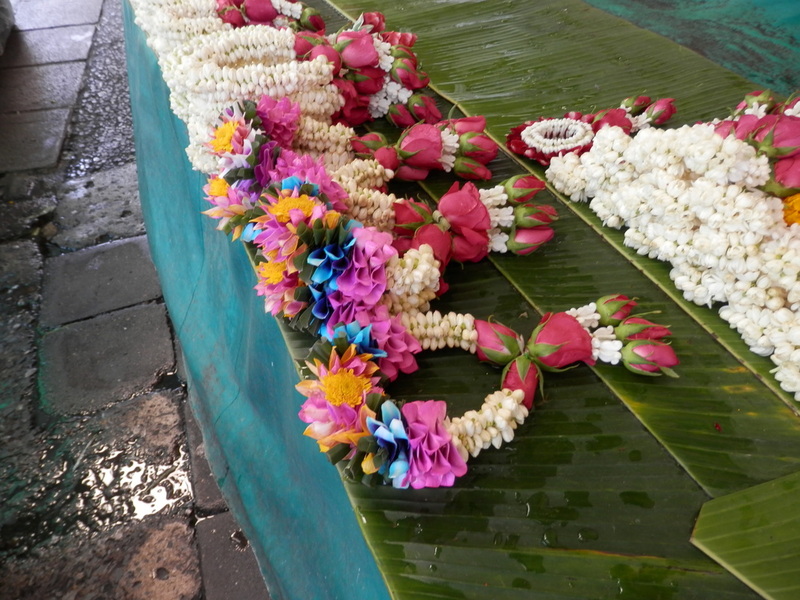 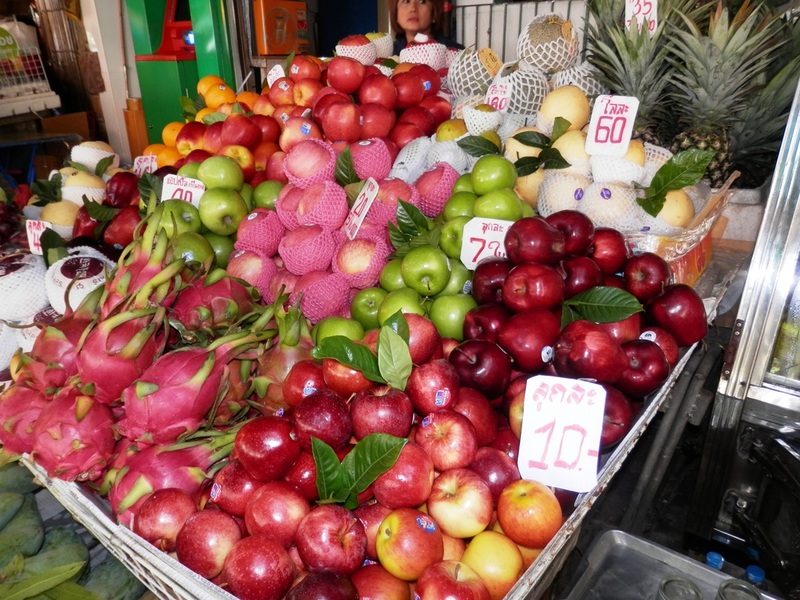 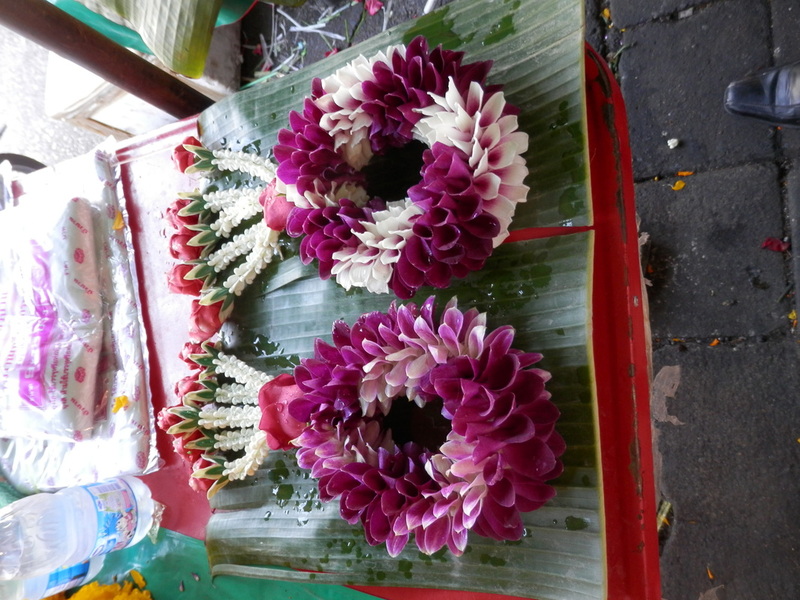 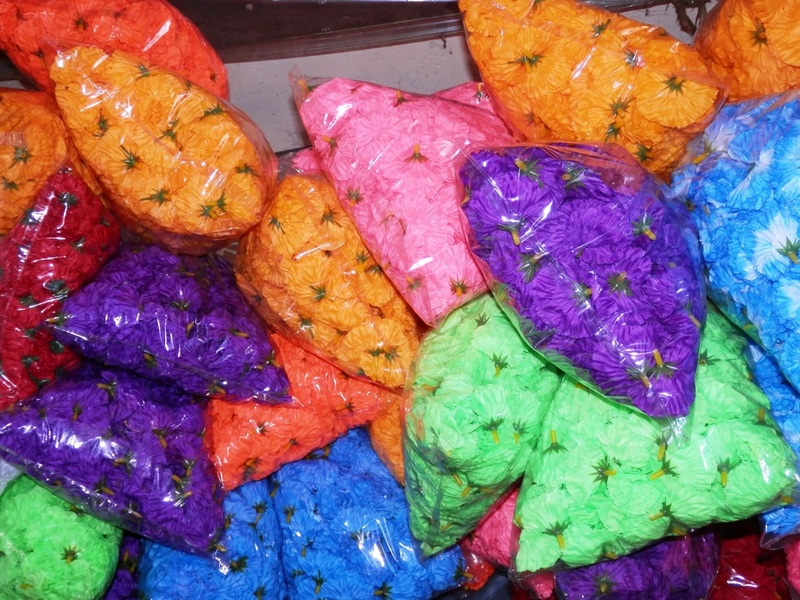 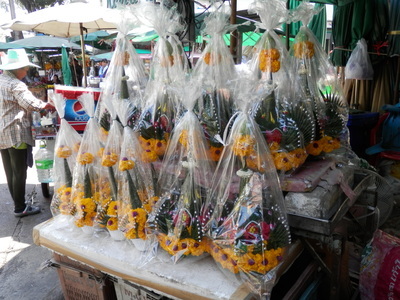 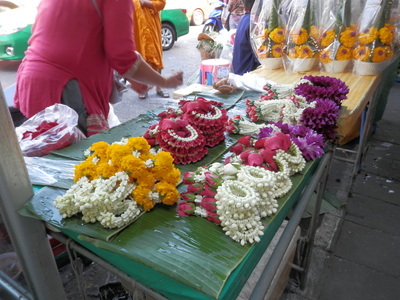 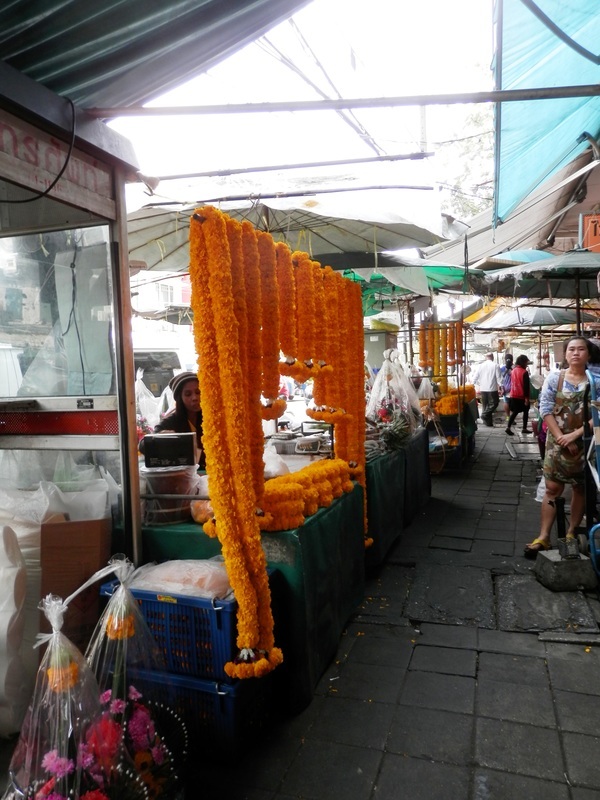 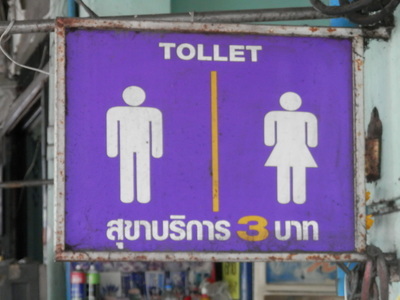 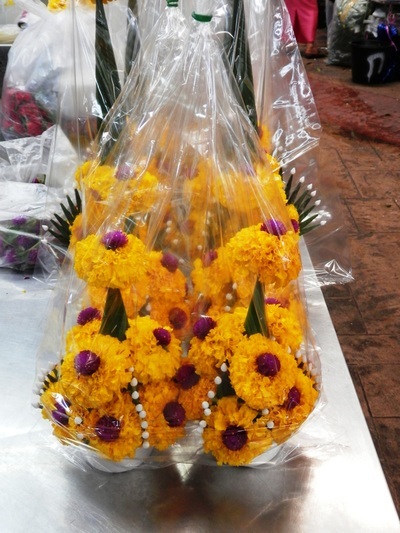 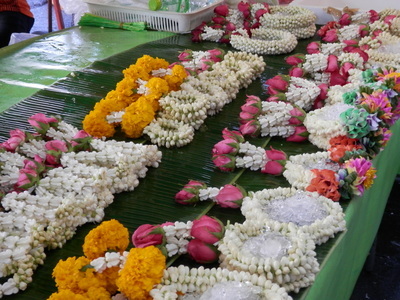 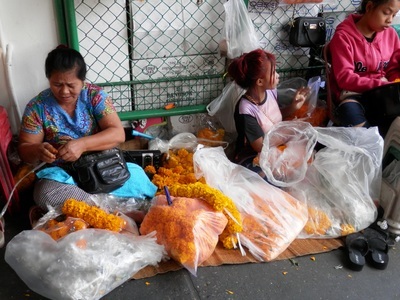 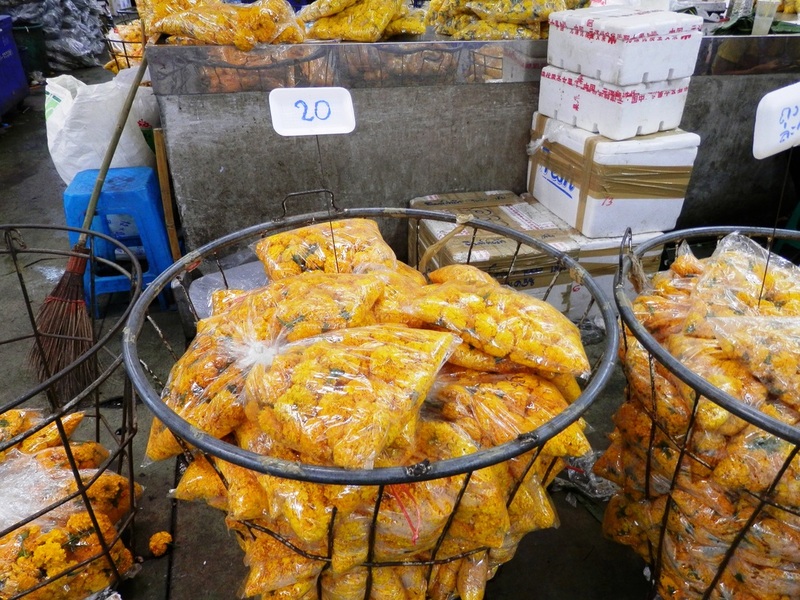 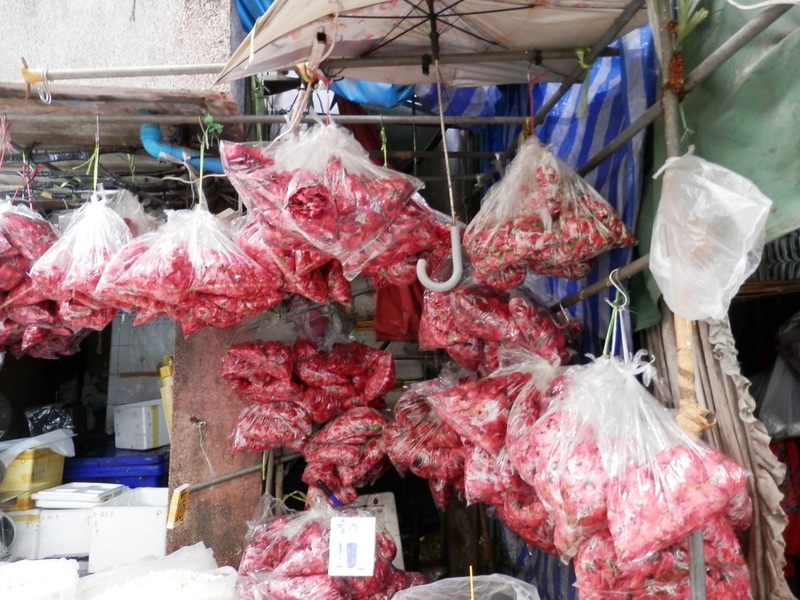 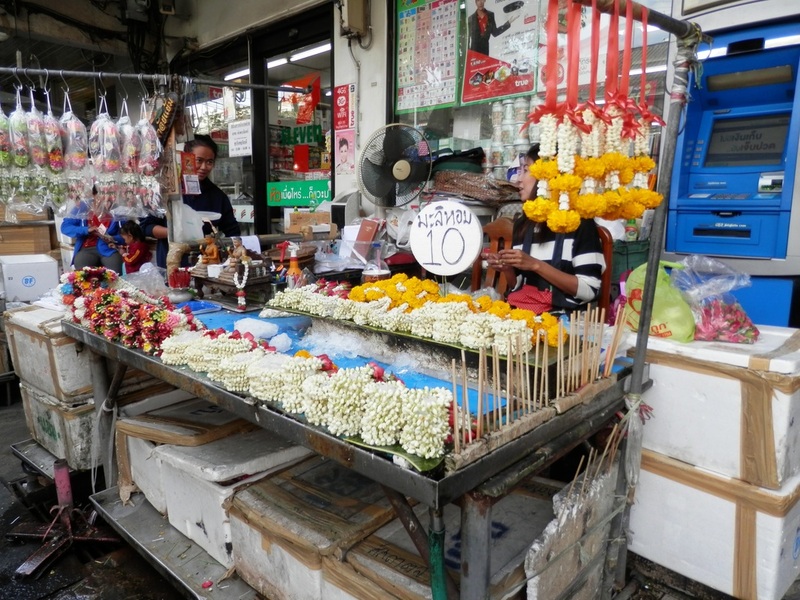 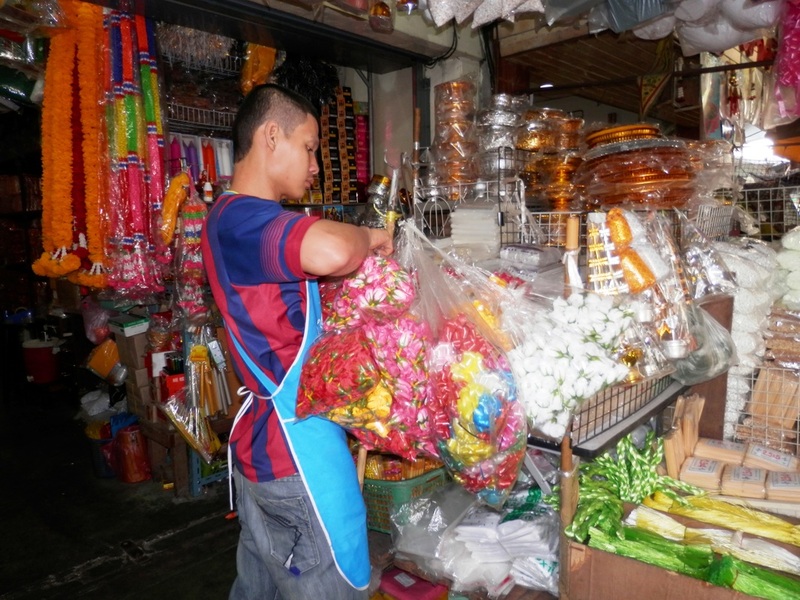 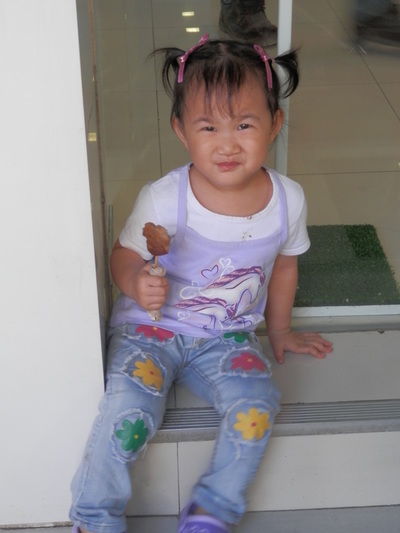 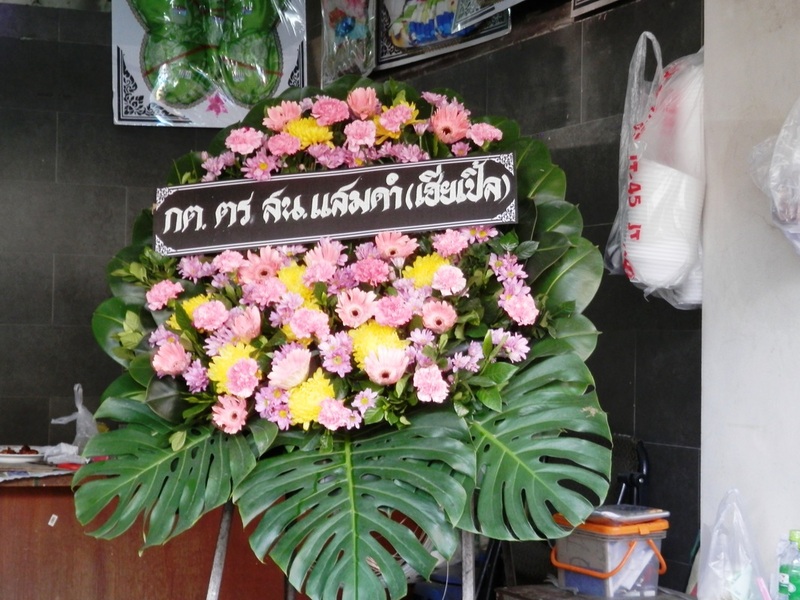 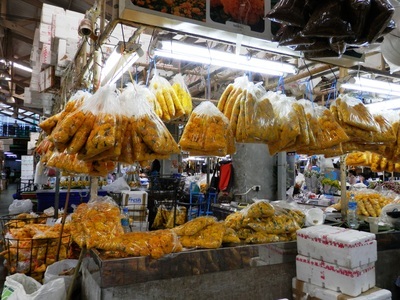 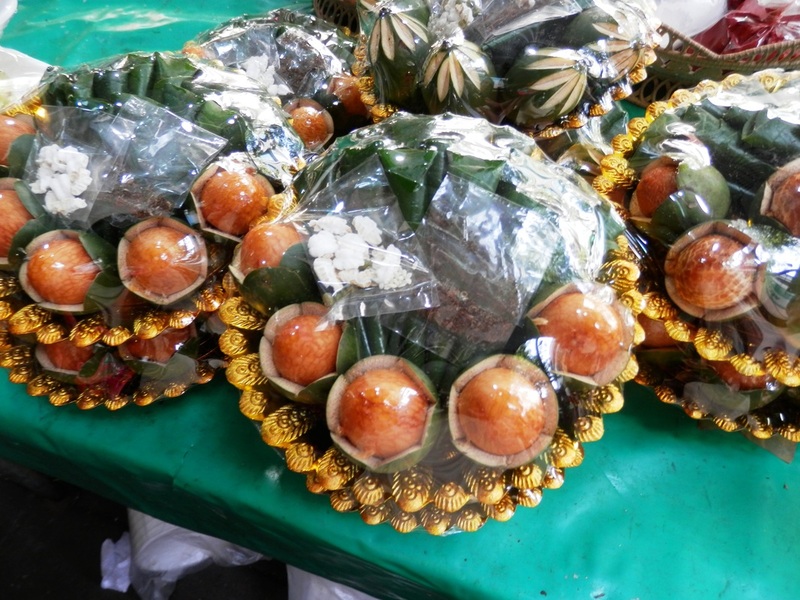 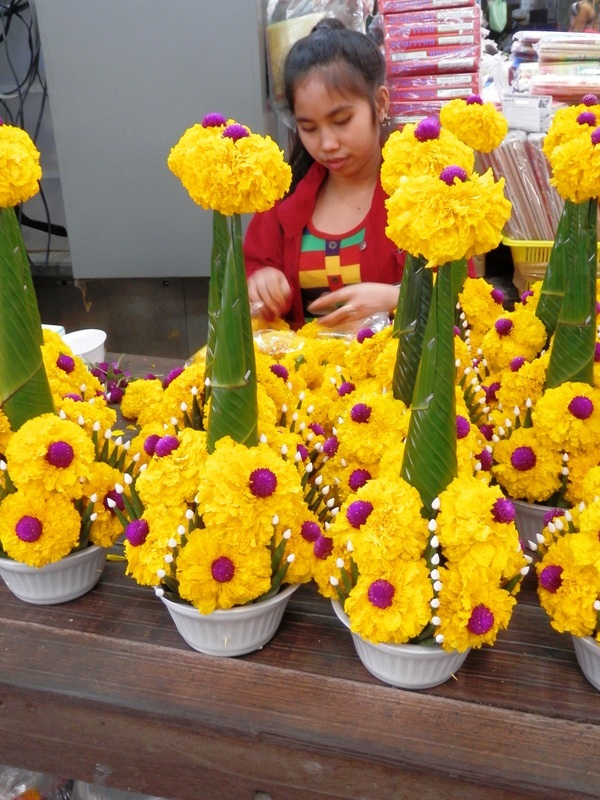 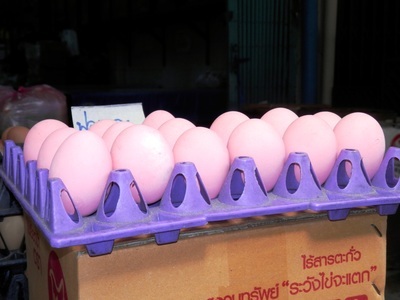 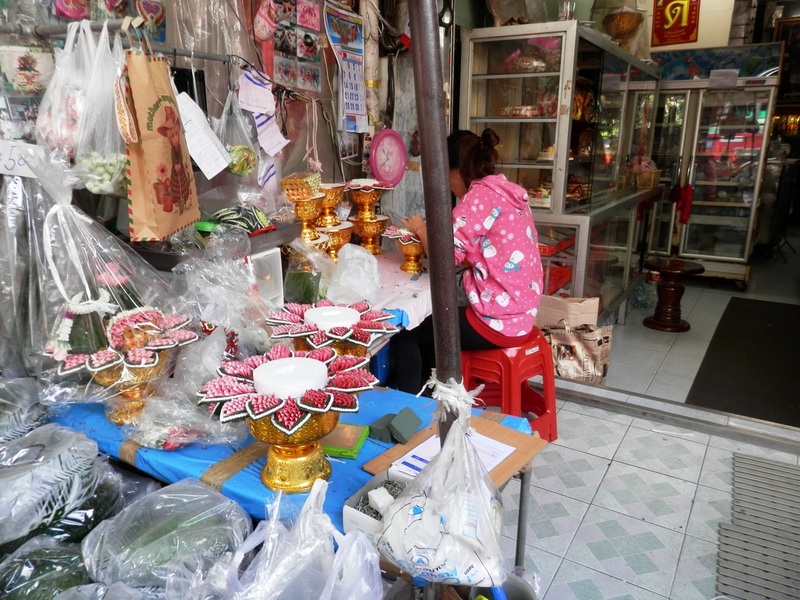 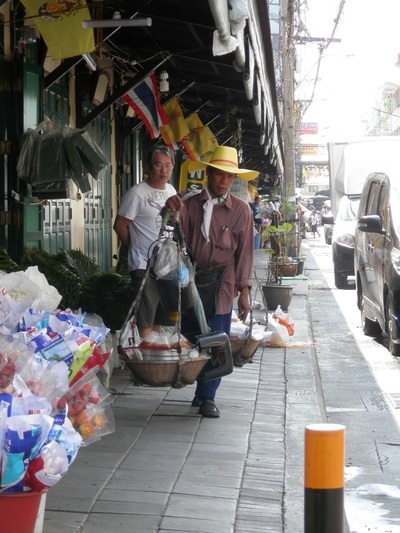 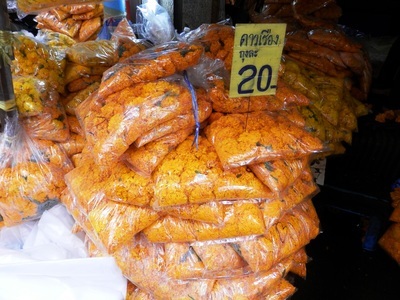 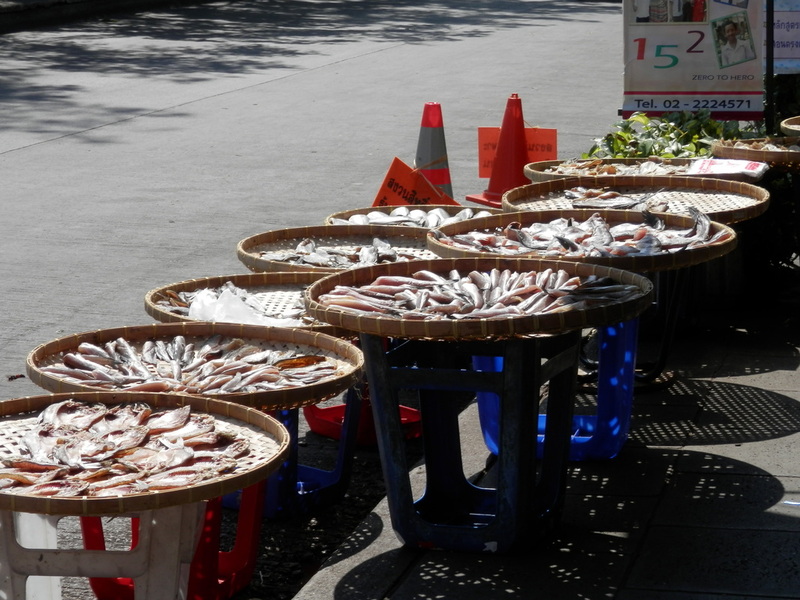 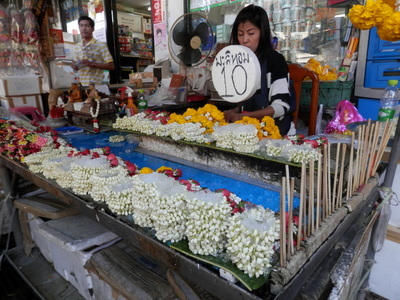 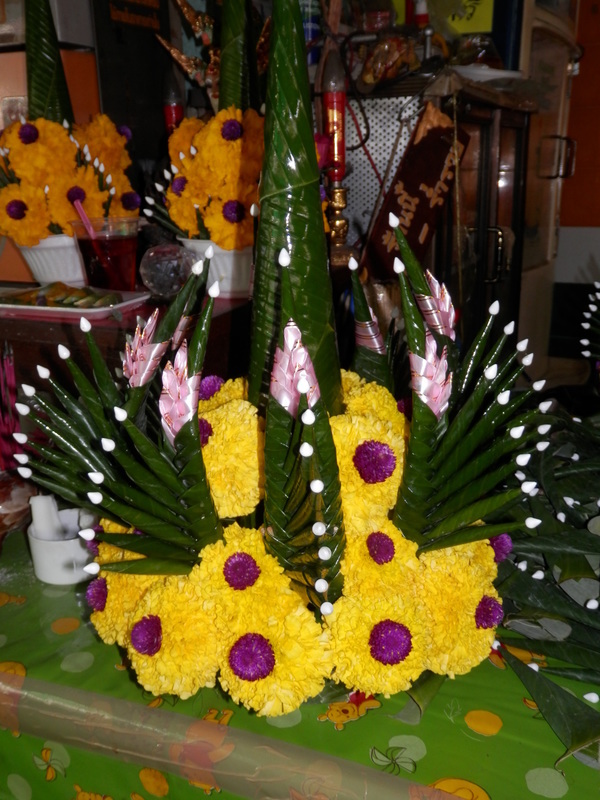 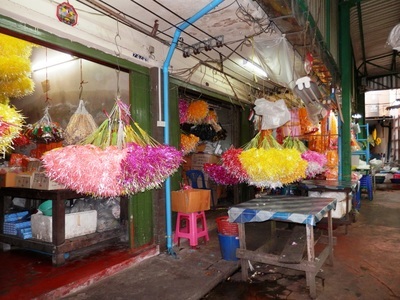 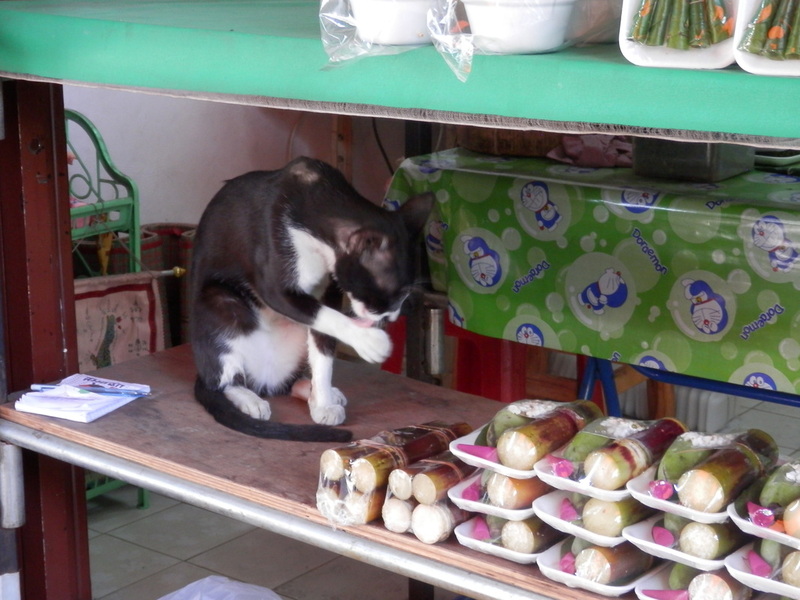 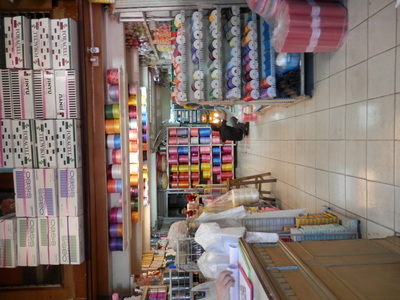 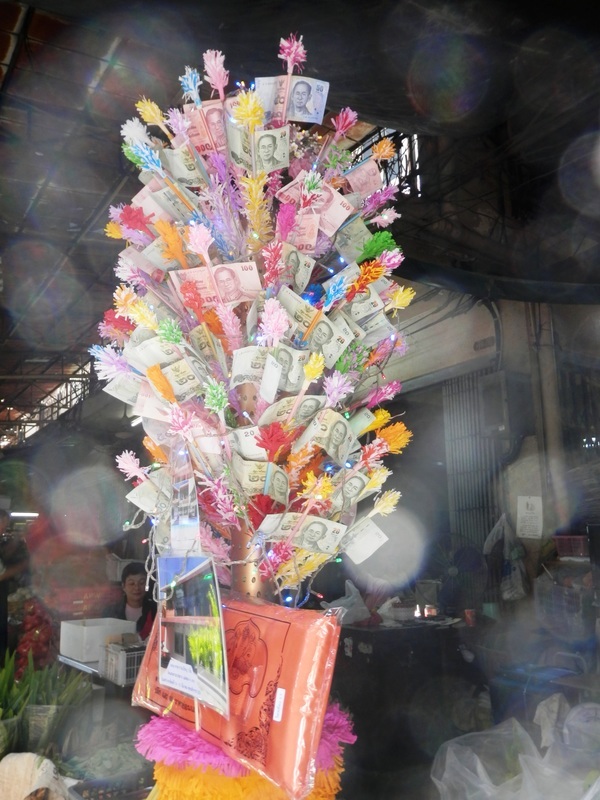 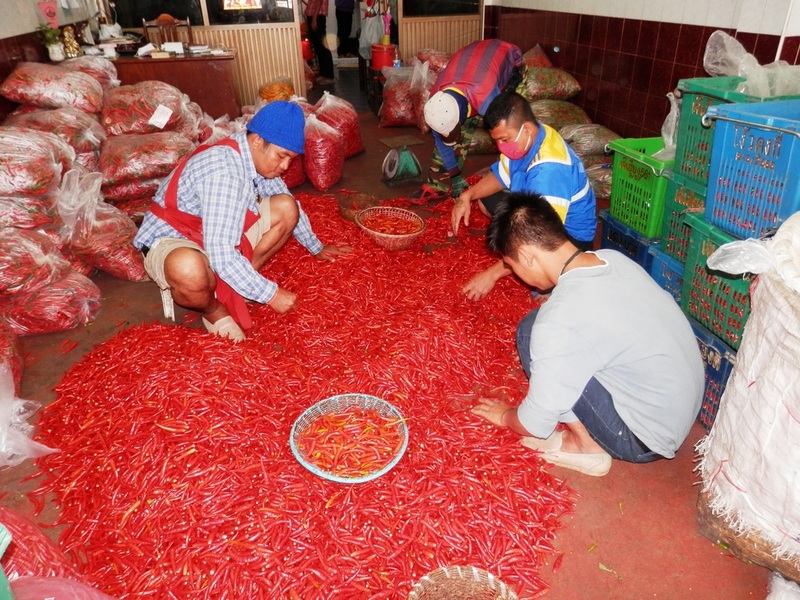 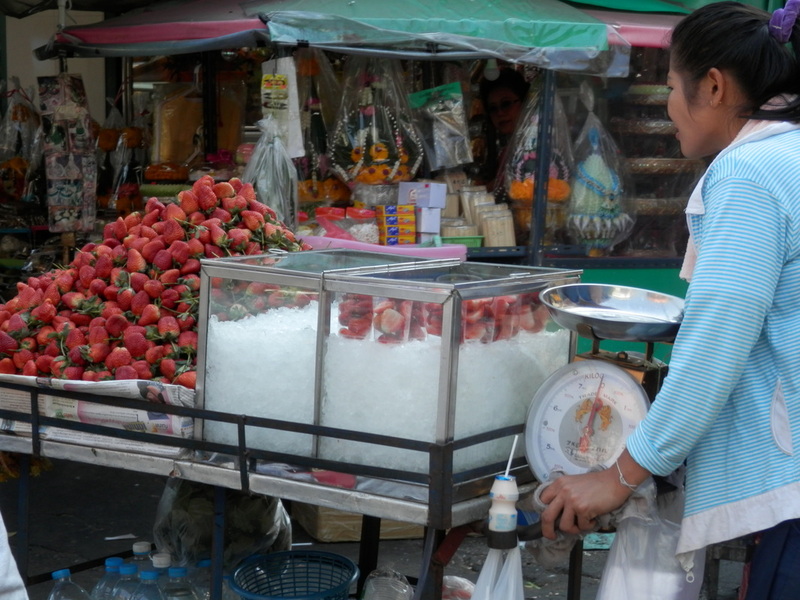 Most of the arrangements were designed for Thais to buy and give as offerings at temples. The best time to view the Flower Market is supposed to be at dawn, but AlteCocker was clearly not up for that. 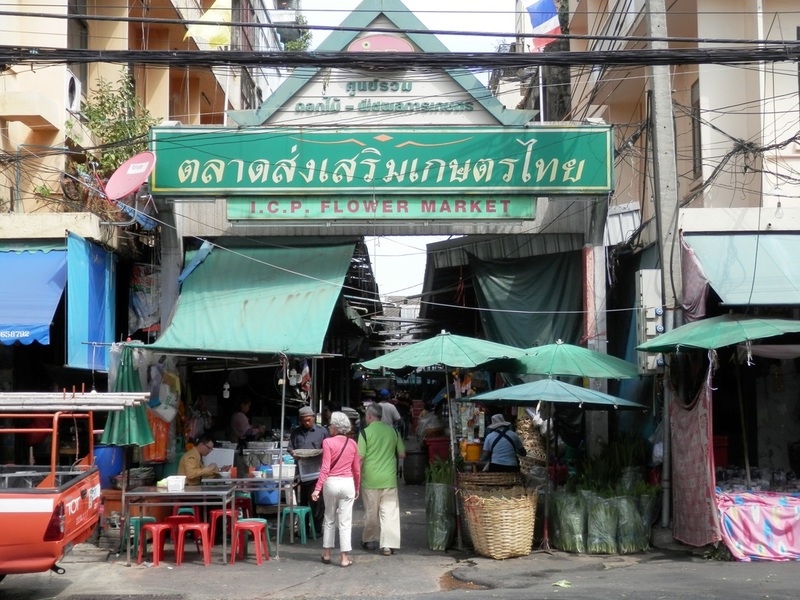 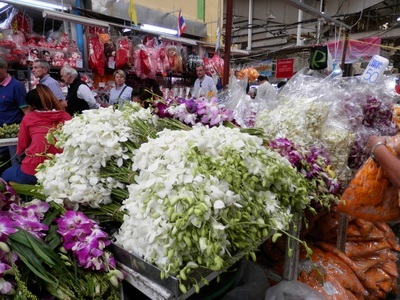 A;teCocker liked wandering in the Flower Market much better than her experience with mass group tourism at The Grand Palace. 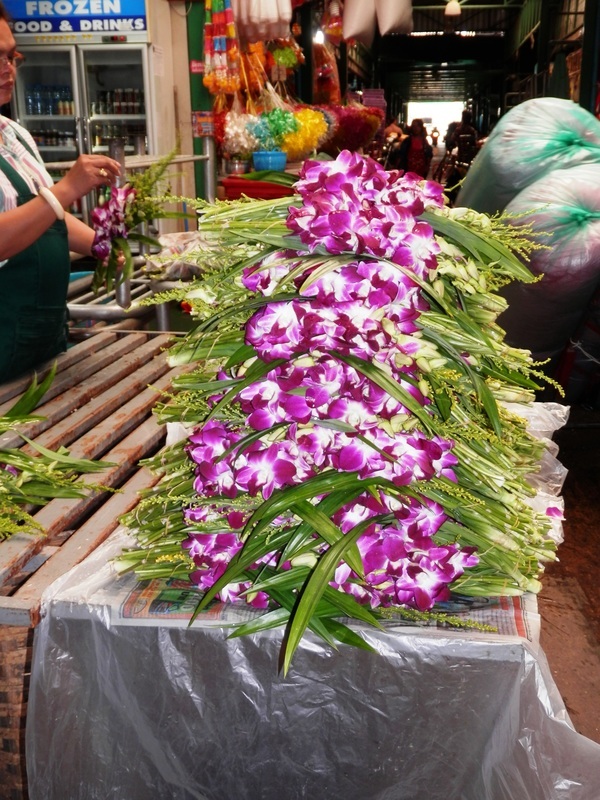 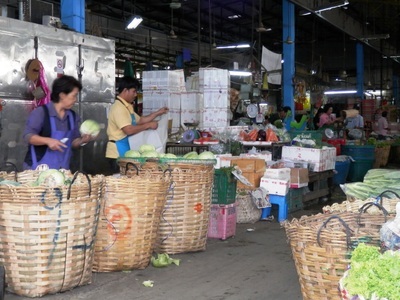 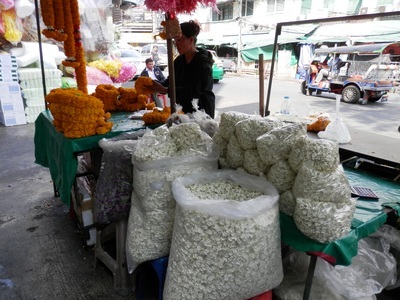 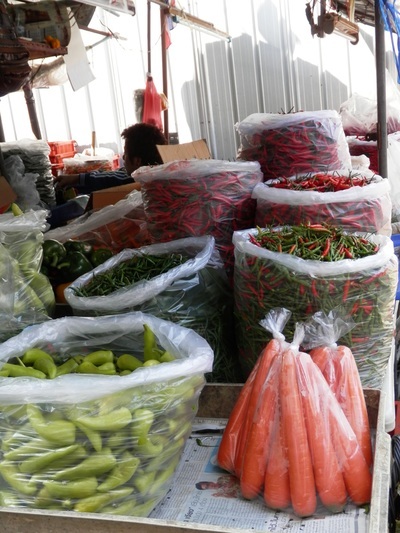 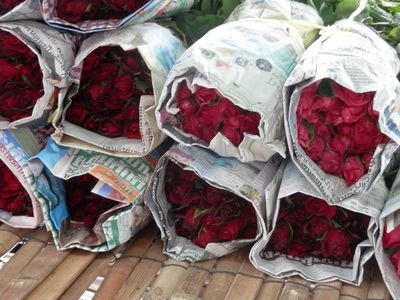 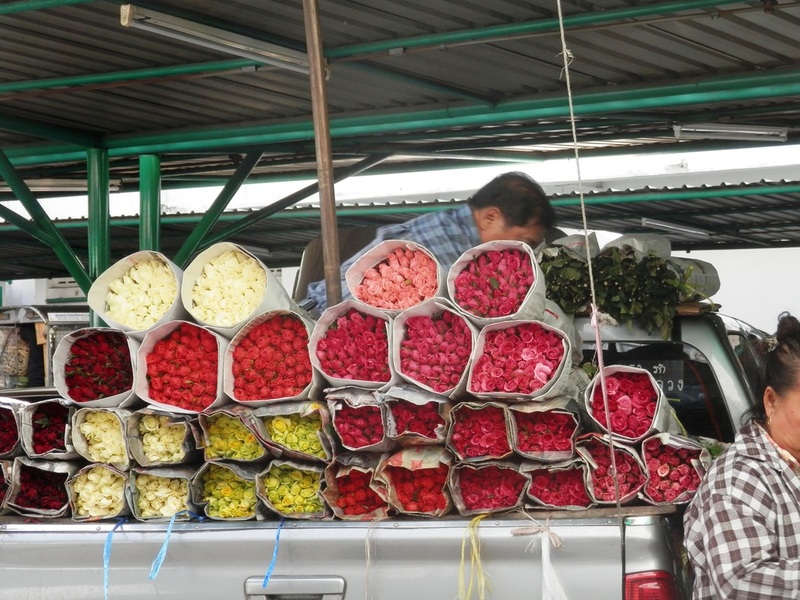 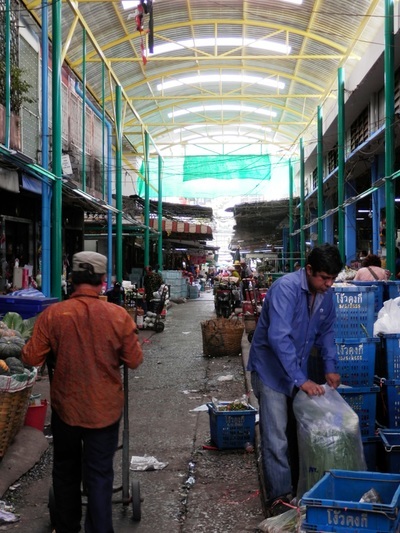 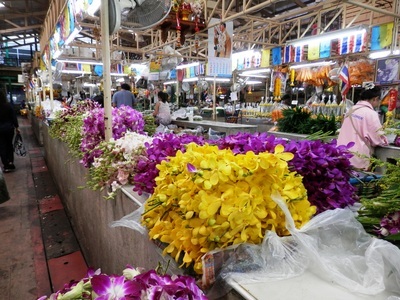 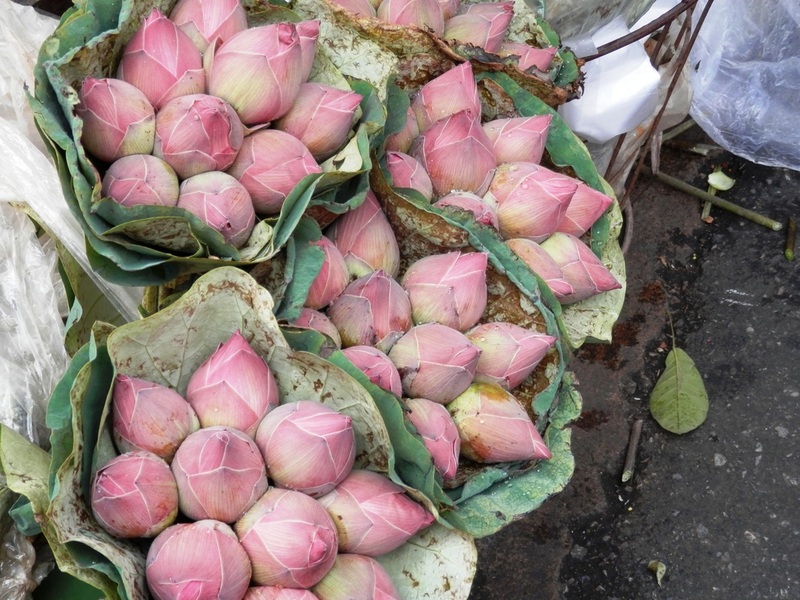 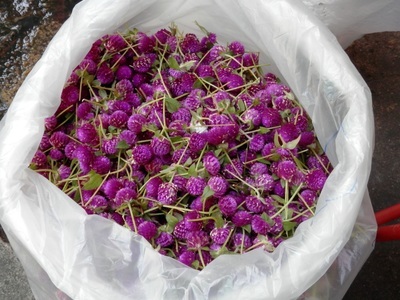 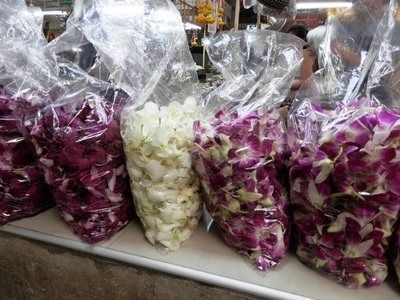 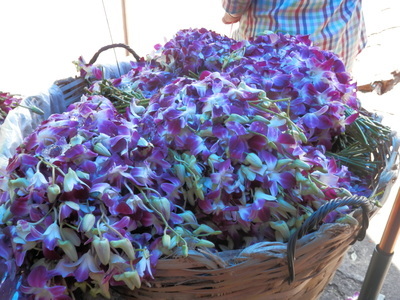 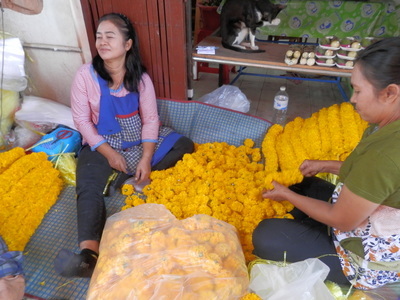 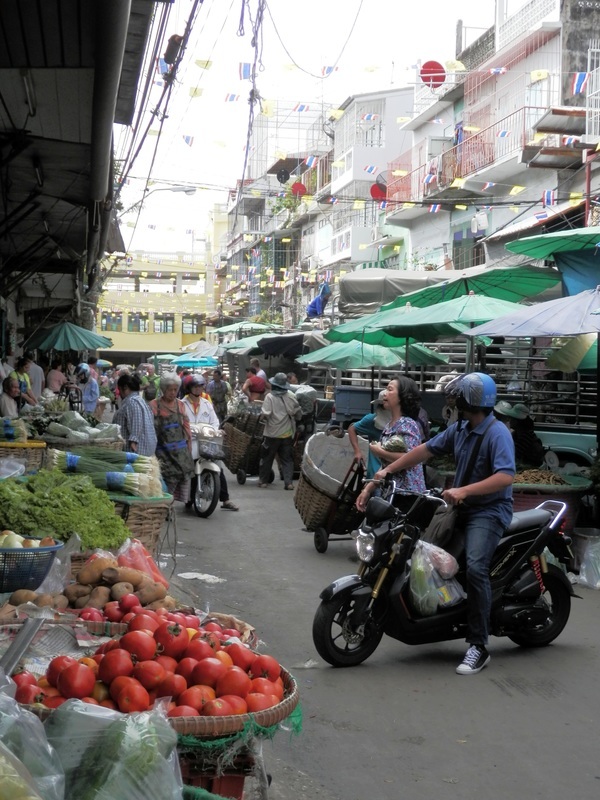 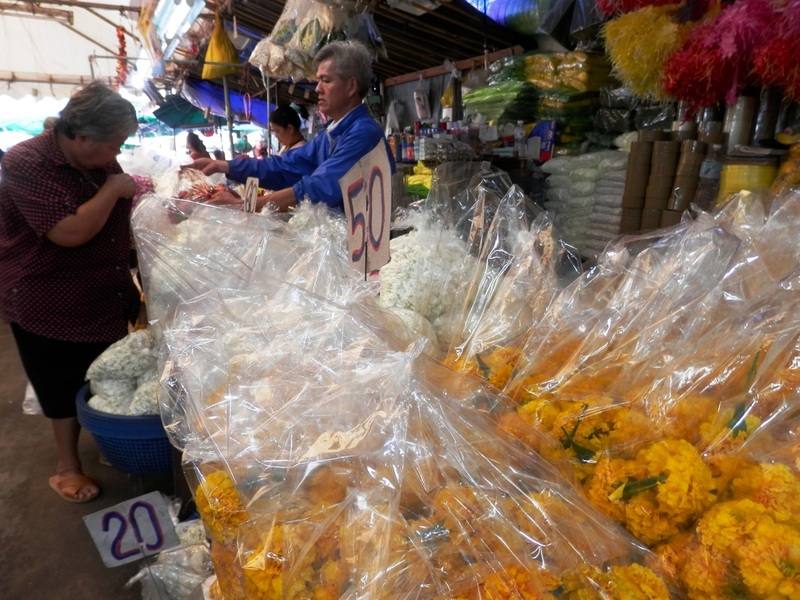 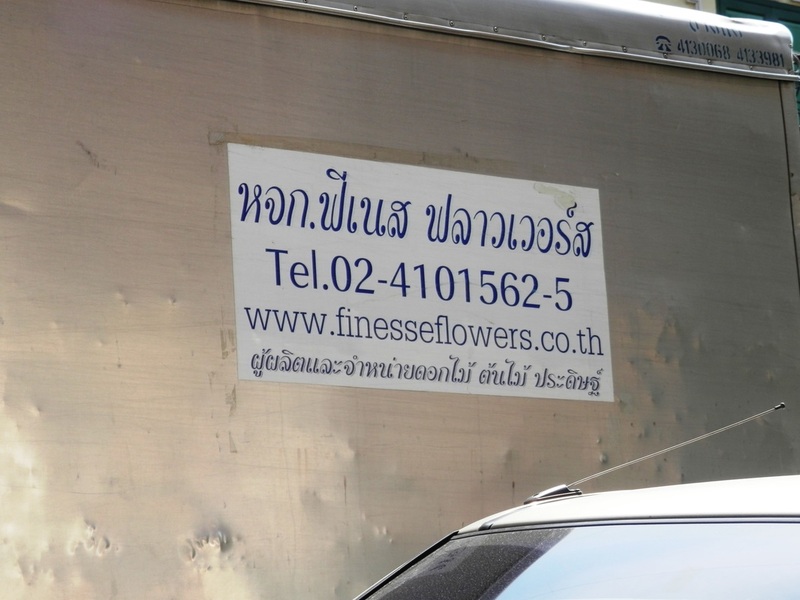 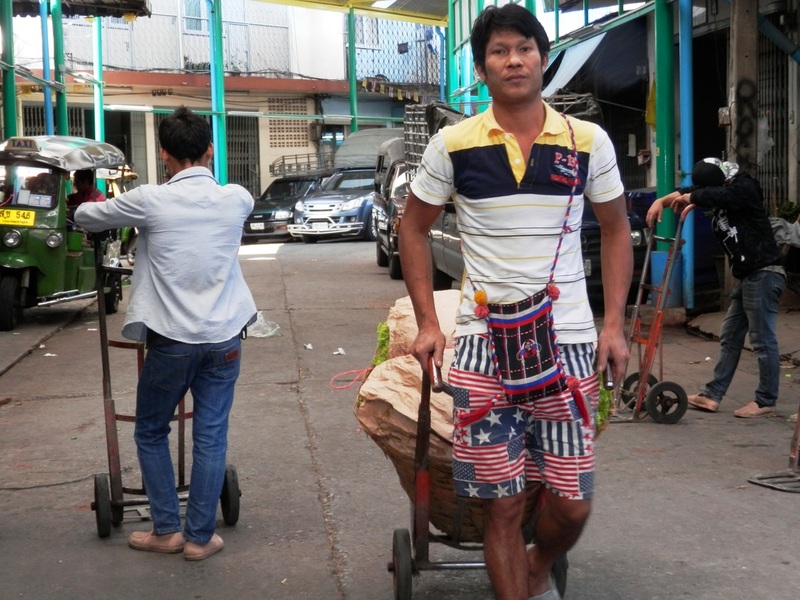 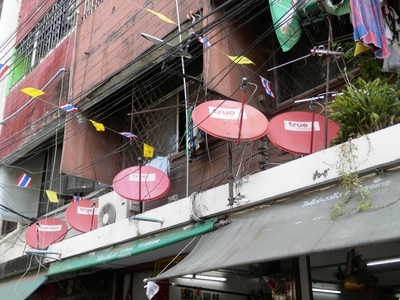 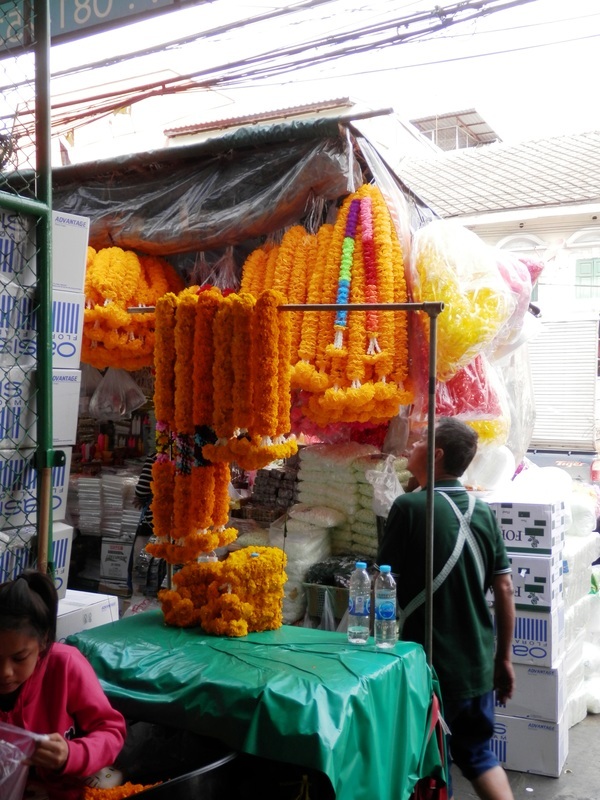 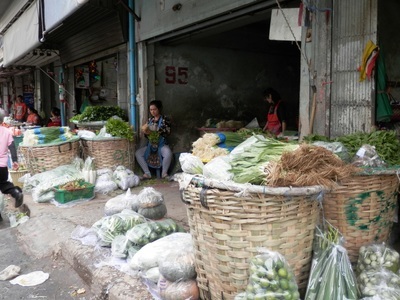 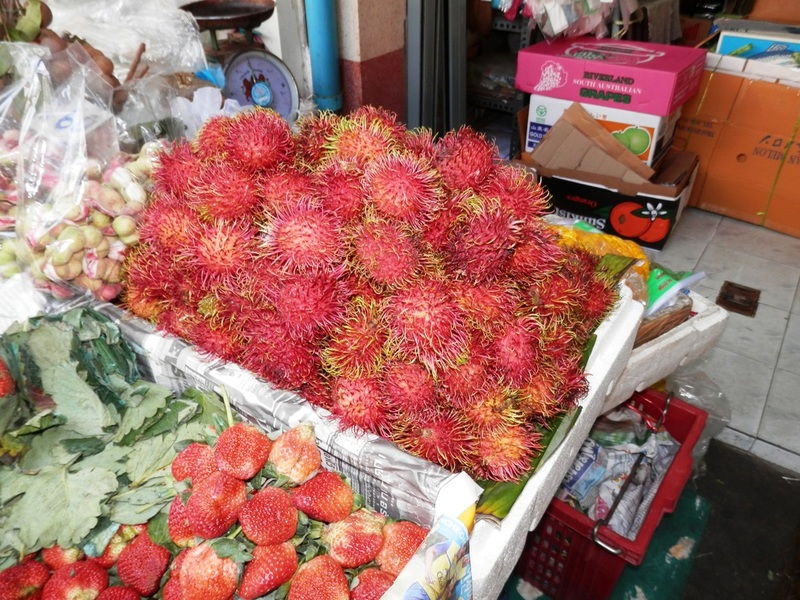 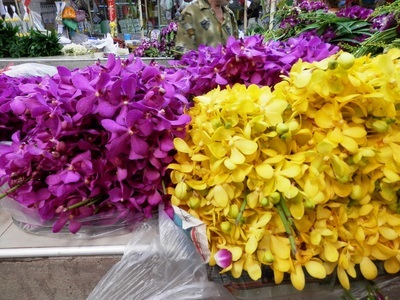 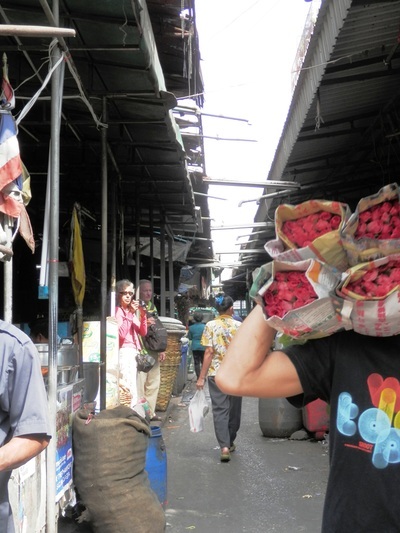 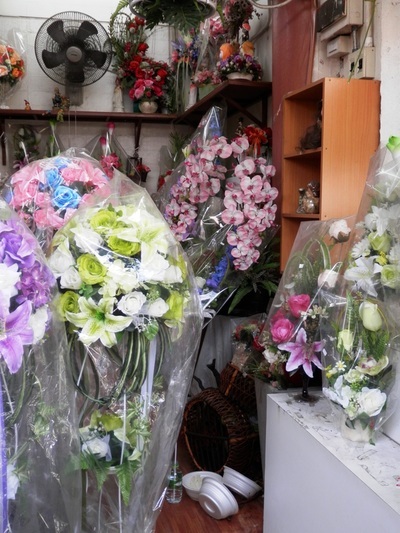 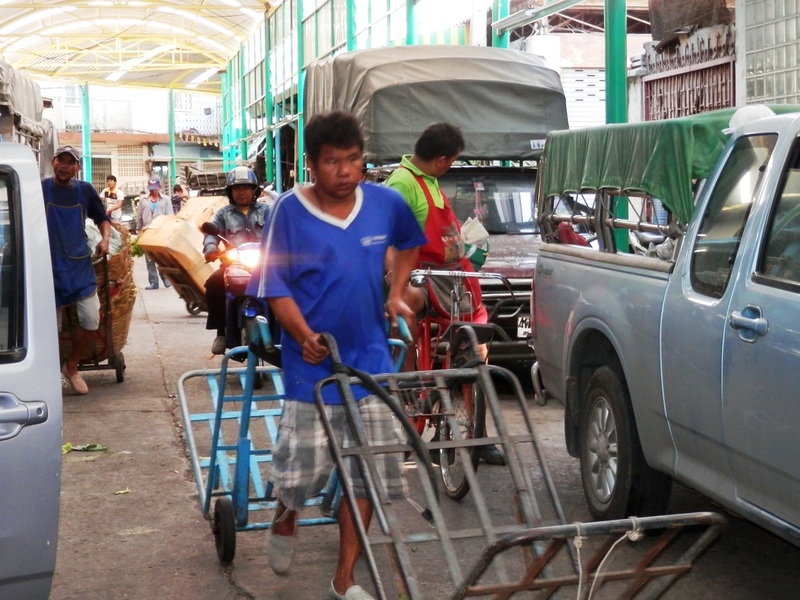 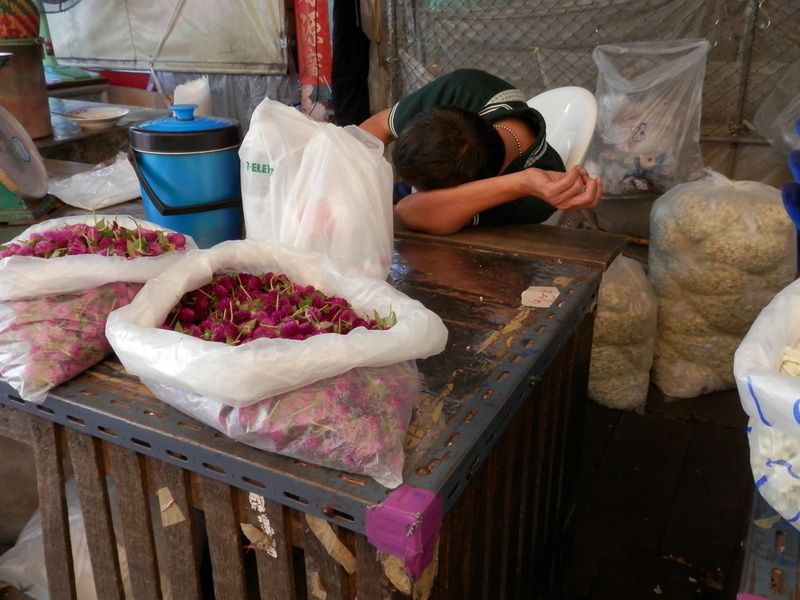 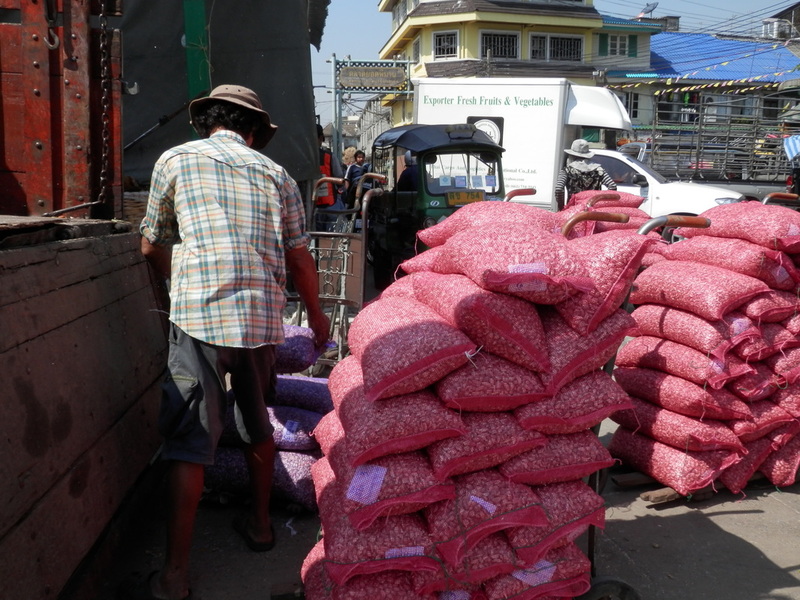 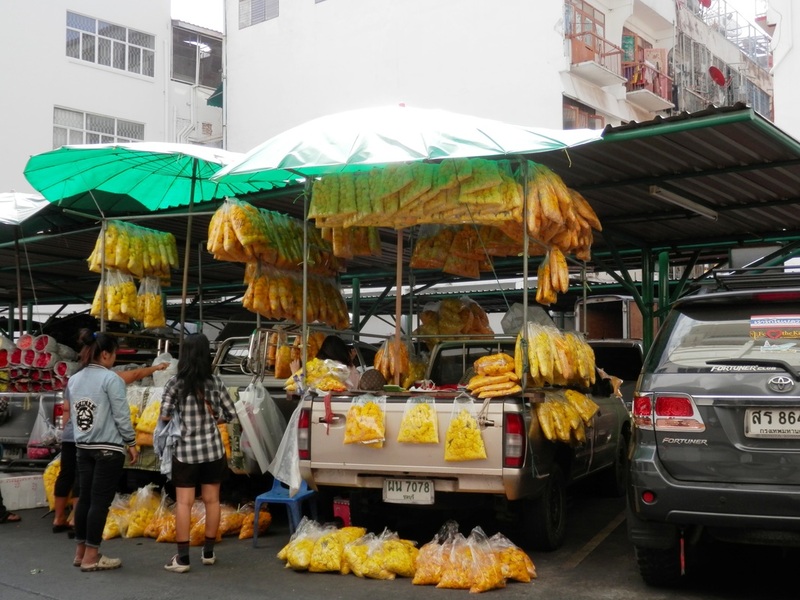 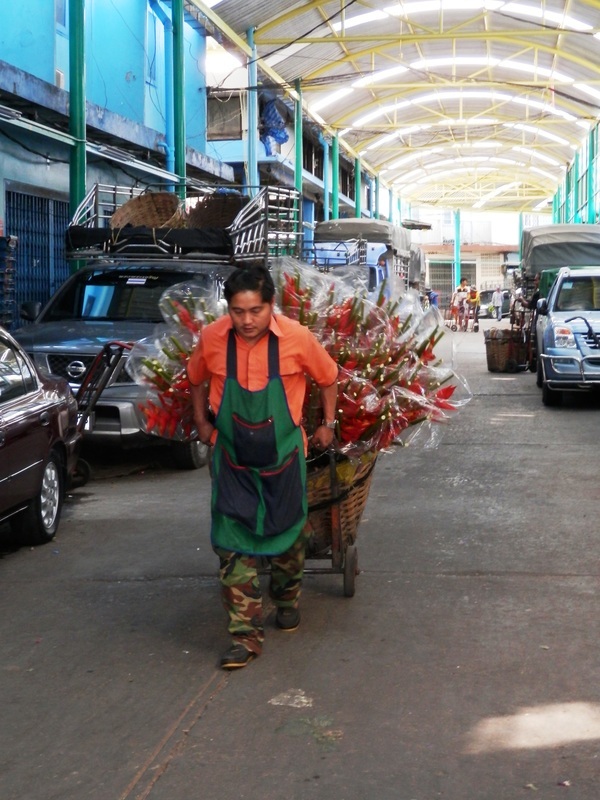 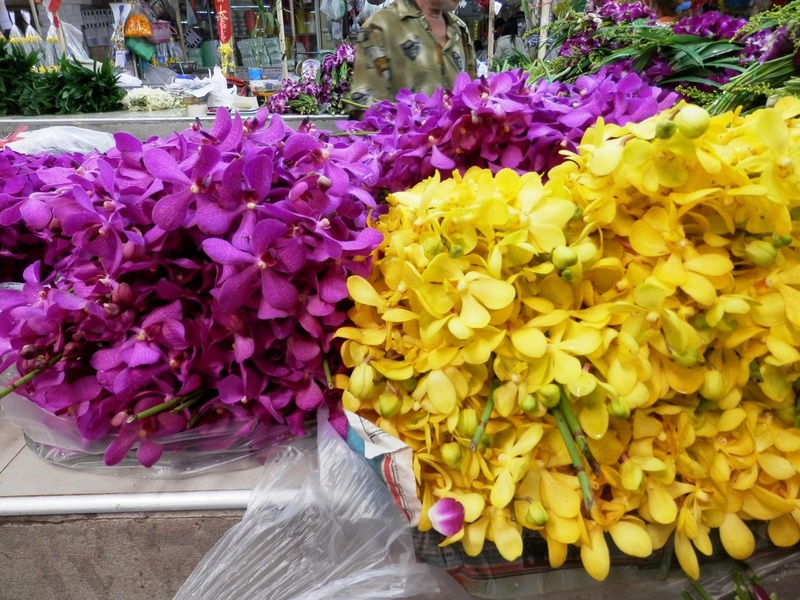 Chiang Mai does have a similar Flower Market, but, of course, smaller.